The Cologne SEO Expert optimizes your pages for search traffic. The optimization targets Google, your customers and maximizes your conversions. I will need a few weeks to reach the first page. It will take me up months to six months to position more keywords in the search listings. Join today, and I will design a unique strategy for you drawing from my ten years in SEO. Don't expect any backlinks buying, PBNs, or out-of-date tactics from me. Goals to achieve, measure and report, are traffic and conversions. SEO can become a massive source of free traffic, but you need to hire an expert to achieve great success. Many people advertise themselves as SEO professionals but haven't ranked a site yet. That is why they outsource their services or resell spam packages. An expert will optimize the website code and content. The same happens for off-site texts, no backlinks required. Now, you may or may not market in a difficult niche. In any case, you will need up to six months. Demanding niches call for higher costs and longer timetables. I start by ranking more search terms on the first page. I then boost the SEO conversions and increase time-on-site (low Bounce Rate). People will now be clicking on your titles and descriptions in search results. I optimize all your content, on and off-page, to increase its visibility. I work with tactics that are safe and don't break the SEO performance. I raise the awareness of your solutions or products by showing them in many online platforms. Everything I do is manual and in-house (no outsourcing, no automation software). I work for human clicks and my pages continue to perform after each Google update. Jump on the train of SEO growth today. 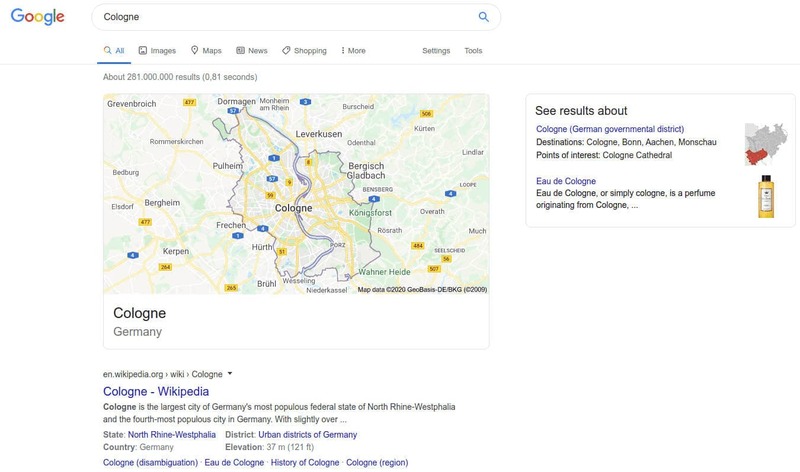 Receive quality traffic by securing the best search spots in Cologne. I could grow any page, in any niche with my unique SEO strategy. Work with an SEO expert and compare my results with your competitors.